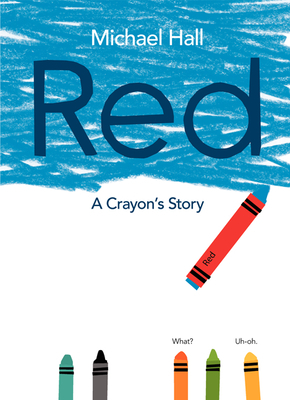 Red: A Crayon's Story (Hardcover) | Fountain Bookstore, Inc. Easily one of my all-time favorite books. I always keep several on hand to give to friends who have kids. Red is the story of a crayon who has a Red label. Even though all of his friends, and teachers, and family members try to tell him he just needs to try to harder to be a red crayon, he keeps drawing blue pictures. This heartwarming , gentle tale helps kids see that we're more than our labels and being who we are on the inside is the best thing we can be.